﻿Okra,﻿ Abelmoschus esculentus, comes from a large plant thought to be of African origin, that was brought to the New World three centuries ago by African slaves. 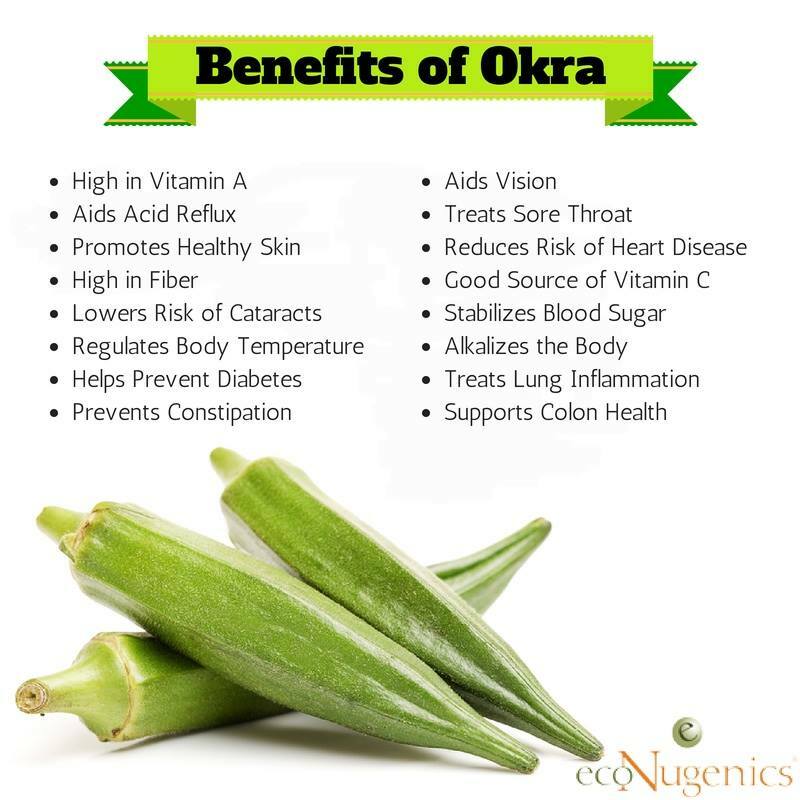 The word Okra was derived from the West African nkruma, and was used in the late 1700s. In various parts of the world, it is known as Okra, Ochro, Okoro, Quimgombo, Quingumbo, Ladies Fingers, Gombo, Kopi Arab, Kacang Bendi, Bhindi (S. Asia), Bendi (Malaysia), Bamia, Bamya or Bamieh (middle east) or Gumbo (Southern USA). Apparently Gumbo is Swahili for okra. In Portugal and Angola, okra is known as Quiabo, and in Cuba, as "quimbombo". . Grown in tropical and warm temperate climates, it is in the same plant family as hibiscus and cotton. Botanically, okra belongs to the mallow family. Much like real marshmallow, the mucilage, a sticky substance containing polysaccharides, helps improve digestion and may be used in the treatment of gastritis, gastric ulcer and liver/gallbladder cleansing. Okra’s mucilage helps to lubricate and soothe the bowel, protecting it from chronic inflammation that can lead to irritable bowel syndrome. Okra is usually available fresh year-round here in the caribbean, and from May to October in other areas. You can also find okra frozen, pickled, and canned, and in some regions you might find frozen breaded okra for deep frying. 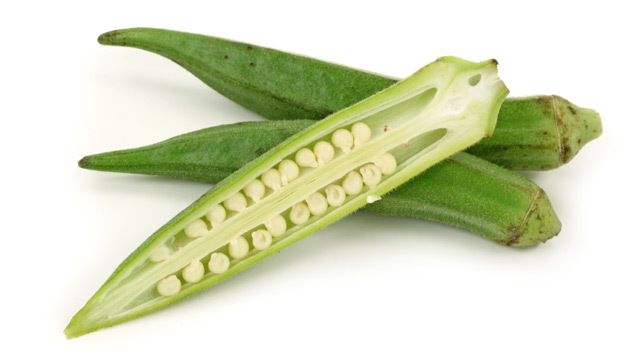 When buying fresh okra, look for young pods free of bruises, tender but not soft, and no more than 4 inches long. Okra may be stored in the refrigerator in a paper bag or wrapped in a paper towel in a perforated plastic bag for 2 to 3 days, or it may be frozen for up to 12 months after blanching whole for 2 minutes. Cooked okra can be stored (tightly covered) in the refrigerator for 3 to 4 days. Okra can be served raw, marinated in salads or cooked on its own, and goes well with tomatoes, onions, corn, peppers, and eggplant. Whole, fresh okra pods also make excellent pickles. Its mild flavor can be compared to eggplant, though the texture is somewhat unusual. 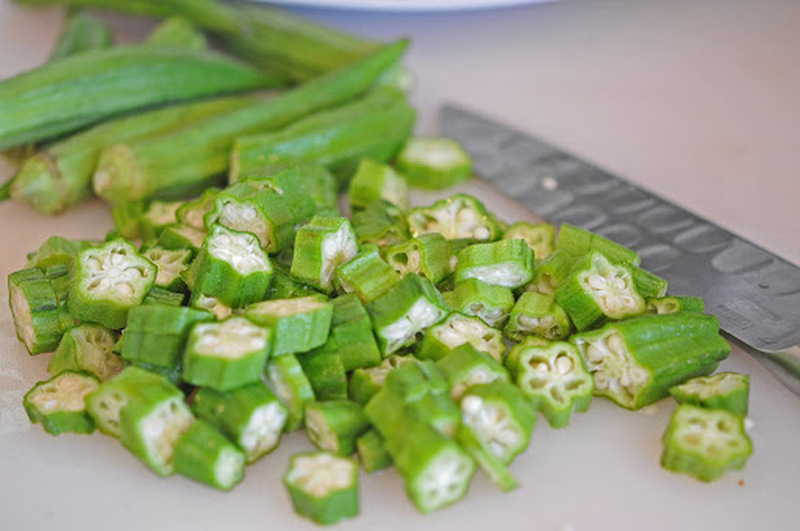 When preparing the downy variety of okra, gently scrub the the surface with a paper towel and before cooking whole okra, slice of the tops and ends.